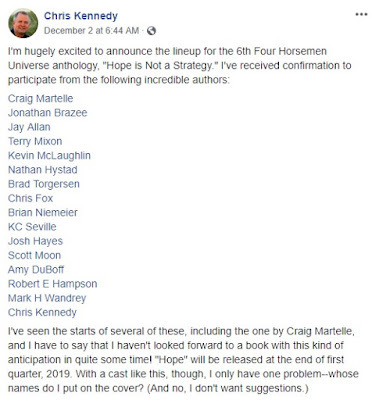 That's right, Chris has been gracious enough to extend me an invitation to write a short story for the next Four Horsemen anthology. He's expressed confidence that my own Mil SF writing will appeal to Four Horsemen fans. Combat Frame XSeed may have something to do with his generous decision. 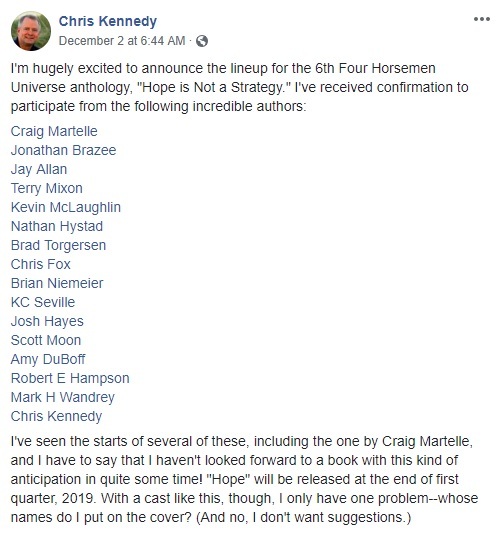 It's an honor to be working with Chris and all the iconic authors on that list. You can be certain I'm putting everything I've got into my contribution. 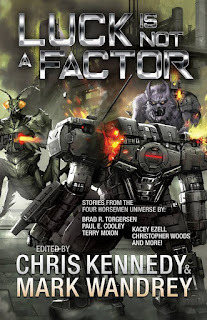 Being selected for the latest installment of a best selling anthology is humbling, and I'm grateful to Chris. At the end of the day, though, all of the Hope Is Not a Strategy contributors are there to make sure readers have fun, and that's exactly what I mean to do. And it just so happens to be a mech story...2019 being the Year of Mecha is more correct than I realized. Now there's another book series I have to read! So many books, so little money! Take that, beer and TV! Eh. I don't like the taste of alcohol, or the feeling of intoxication. And we gave TV up years ago. So beer and TV already took that! At this point, it'd be cell phone/internet we're giving up. Brian -- congratulations! I'm looking forward to your contributions! Thanks, guys. I won't let you down. Next month, my entertainment budget finally refreshes. Build-A-Mech drained it for three months. Again, you have my heartfelt gratitude! And I love my big, beautiful mech! Right, this is now a must-have.